Planning to have a buffet in town? 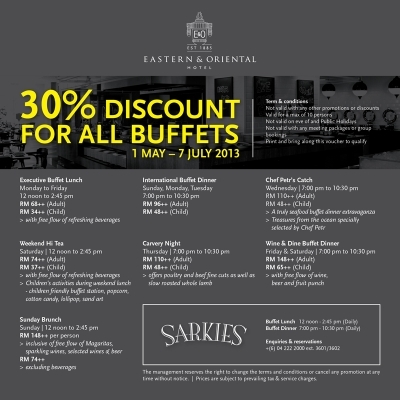 Now is a good chance for you to visit Sarkies @ E&O Hotel. 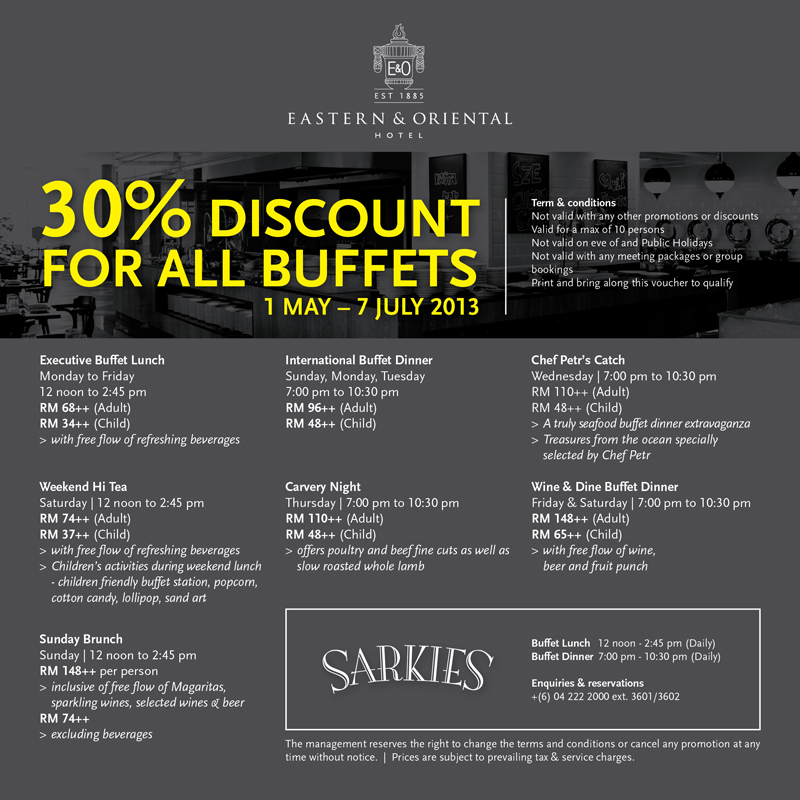 From 1-May until 7-Jul-2013, get 30% discount for all buffets! Just right-click on the image above and “Save Image As…”. Then, print it out and present it when dining. 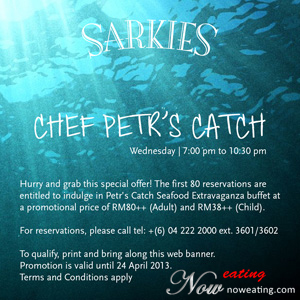 Fresh seafood buffet at a promotional price of RM80++, interested? If yes, print out the banner above to enjoy the discount. It is RM30 off for adult and RM10 off for child. Only applicable for first 80 noweating.com readers who made reservation. One banner for one person. So, if you have 5 persons, print 5 banners. Valid from now until 24-Apr-2013. 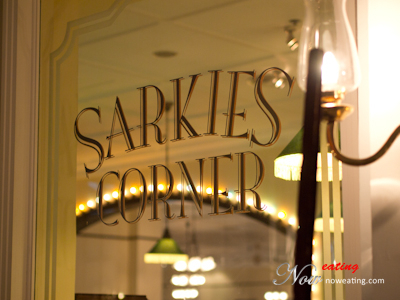 Be sure to make reservation. 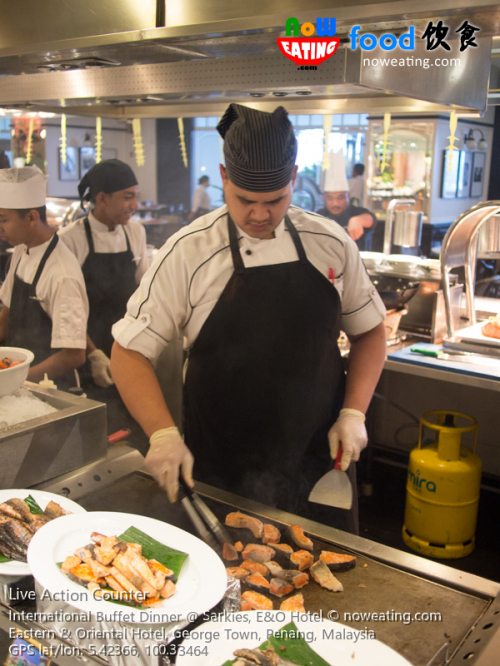 I tried E&O buffet couple of times, sometimes company events, sometimes just with friends. My last visit was two weeks ago with some under “stressed” colleagues. 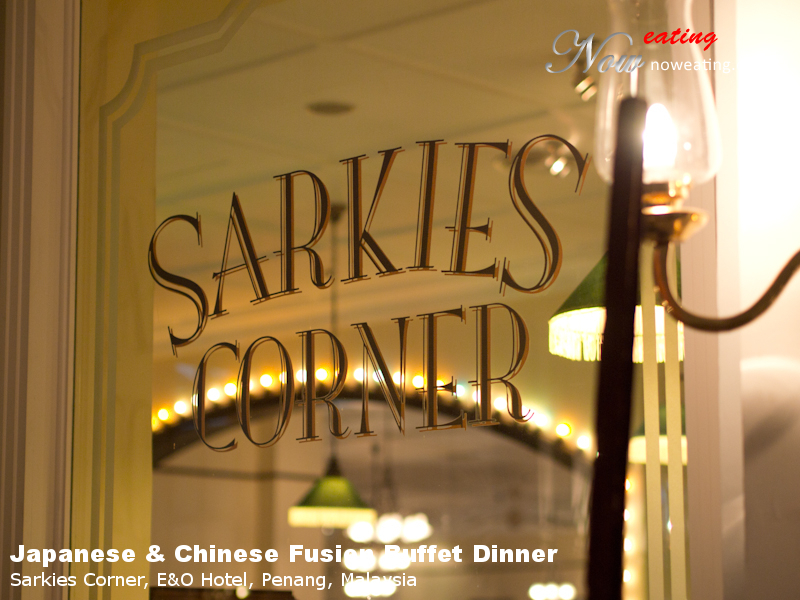 We selected Wednesday since the theme was “Japanese & Chinese Fusion Buffet Dinner” (RM78.00++).